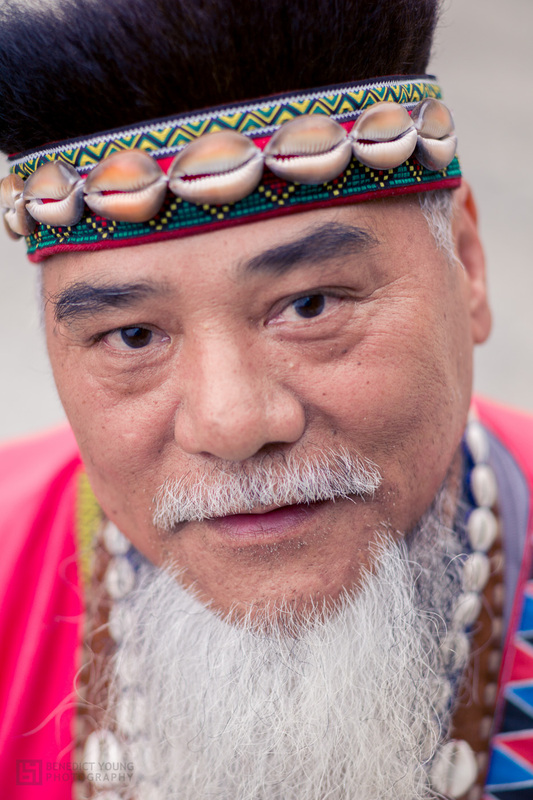 Pasuya is the brother of the former chief and is an important dignitary in Tsou society. Like his mythical namesake in Tsou legend – Pasuya, a mighty warrior, who was strong enough pull down mountains – this Pasuya was an accomplished athlete in his youth. He was a shotput champion and reputedly still holds the Taiwanese military record for the longest distance grenade throw. He also says he could lug over 200Kg of concrete with ease when working in construction. 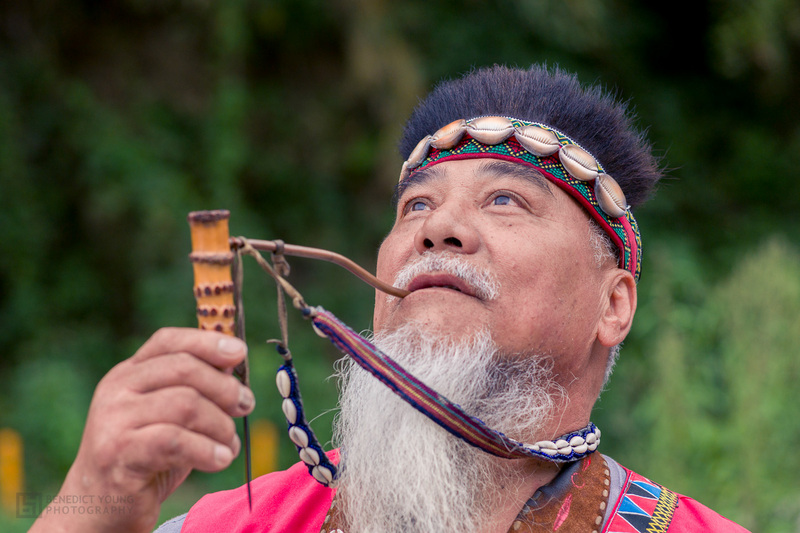 In addition to his renowned strength, he has a fine singing voice and has performed traditional Tsou music as far away from home as France. Loath to don his traditional garb just for show rather than during a ceremony or performance, I was lucky that he spontaneously decided to put on his bear hair hat, traditional pipe and shell adorned tobacco case. The Tsou are a mountain dwelling tribe and have always considered shells to be precious since they come from so far away. Tsou clothing is often adorned with these precious seaborne items. When typhoon Morakot – the deadliest in Taiwan’s history – ravaged the country in 2009, Lijia village was devastated and left cut off from the rest of the country. At that time, many died, property was destroyed and historical artefacts of the Tsou people were washed away. Pasuya tried his best to save what he could of these artefacts and preserve them. Today, Pasuya is the custodian of most of the remaining Tsou ancestral treasures, which were rescued from the raging flood waters.